Both the men's and women's teams will travel to Cambridge for competition on Friday, hoping to secure better results against the Crimson than in the past. Swimming and diving heads to Cambridge this weekend where both the men’s and women’s teams will face off against Harvard. The women (2-1, 1-1 Ivy) enter their third Ivy matchup of the season with a 1-1 conference record. Despite beating Penn 171-129 in their Ivy League opener, the Lions fell to Yale last weekend in a decisive 90-205 loss. While Columbia will hope to win its meet against the Crimson (2-0, 2-0 Ivy), Harvard is currently undefeated in conference, having beaten both Cornell and Dartmouth so far this season. The Lions will look to first-year diver Briget Rosendahl for yet another strong performance this weekend. In her first season with Columbia, Rosendahl has already recorded NCAA qualifying scores in both the 3-meter and the 1-meter dive. Like the women, the men (1-2, 0-2 Ivy) are also entering the meet fresh off a 132-168 loss to Yale last weekend. The men, however, are 0-2 in the Ivy League, having lost to Penn the week prior in their season opener. The meet against Harvard (3-0, 2-0 Ivy) is a chance for the Lions to pick up their first conference win of the season. However, Columbia faces an uphill battle as the Crimson is undefeated this season, winning each of its three meets by nearly 100 points. 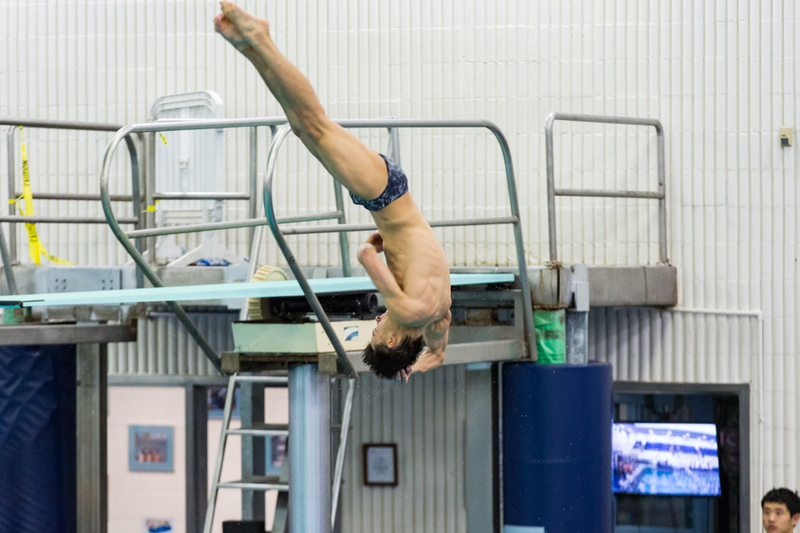 All eyes will be on standout sophomore diver Jonathan Suckow, who will look to pick up yet another set of victories in the 1- and 3-meter dives. Suckow has had an impressive season thus far, breaking pool records while competing in Philadelphia. The meets in Cambridge are set for 11 a.m. for the women and 3 p.m. for the men on Friday, Nov. 16.